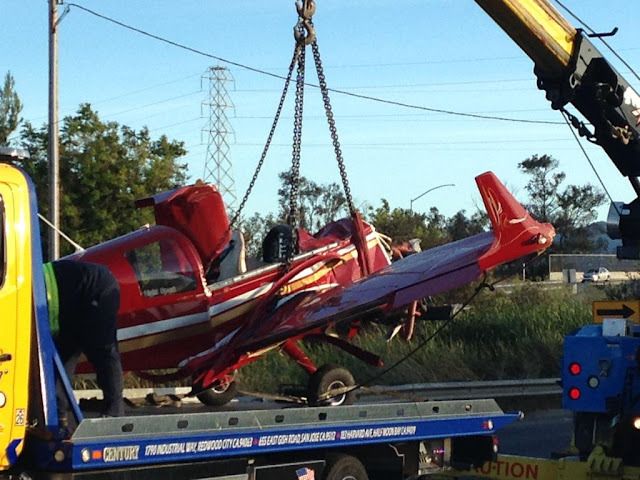 On August 27, 2015, about 1705 Pacific daylight time, a special light-sport Dova Aircraft DV-1 Skylark, N919E, experienced a partial loss of engine power during takeoff and collided with terrain in a field near San Carlos Airport, San Carlos, California. 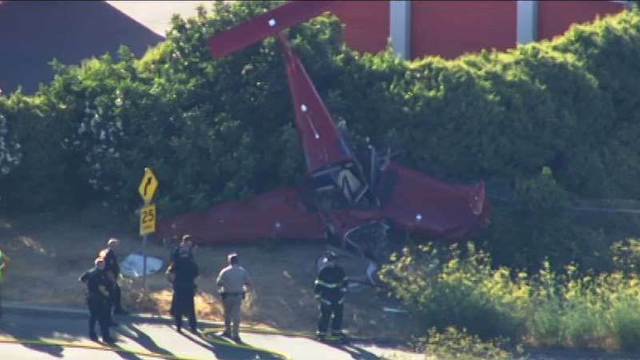 The sport pilot was not injured; the airplane sustained substantial damage. 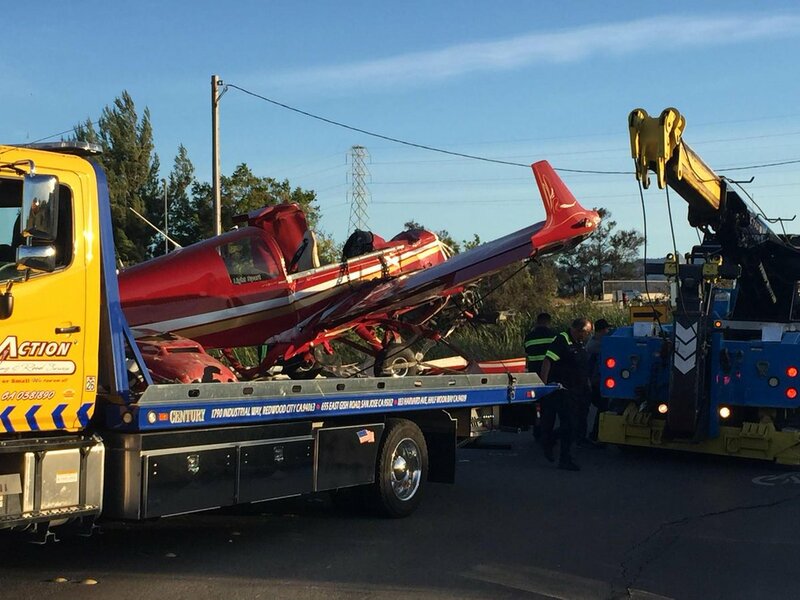 The airplane was registered to and operated by the pilot under the provisions of Title 14 Code of Federal Regulations Part 91. Visual meteorological conditions prevailed and no flight plan had been filed. The local personal flight was originating at the time of the accident with a planned destination of Gnoss Field Airport, Novato, California. 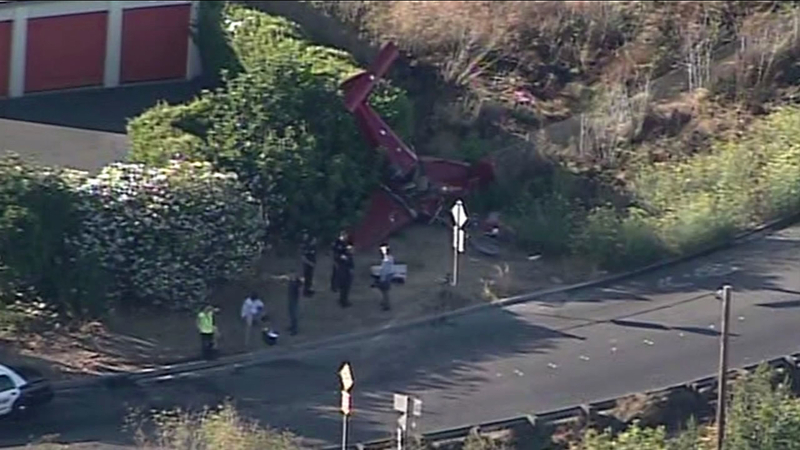 The pilot stated that he landed at the airport earlier in the day. He refueled the airplane with full fuel and attempted a departure down runway 30. The engine began to operate roughly and he aborted the takeoff. After another attempt with the same results, he again aborted the takeoff and taxied the airplane to a mechanic on the field. The mechanic opined that he was experiencing vapor lock in the fuel system and suggested that he let the engine cool down. The pilot waited and then attempted the departure again. He performed a run-up of the engine, which appeared to be operating normally and aligned on runway 30. 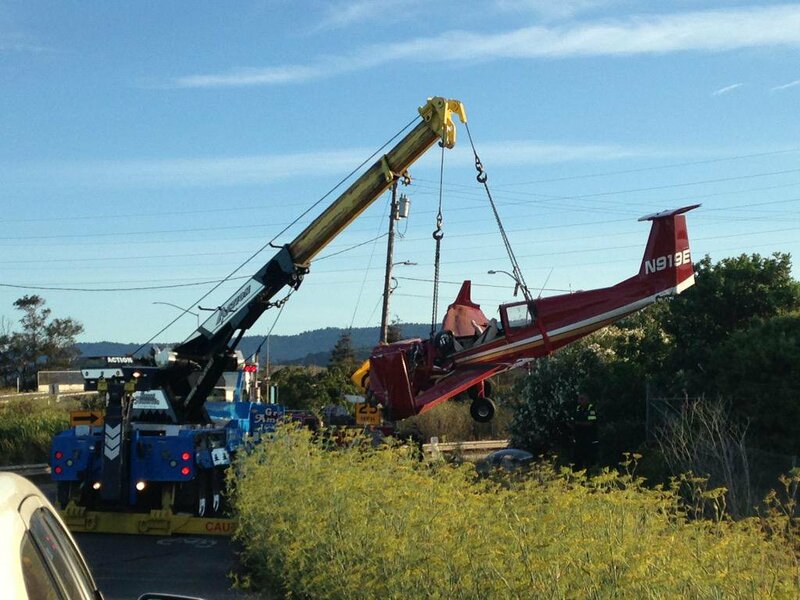 The airplane became airborne and as he began to climb through 50 to 75 ft, the engine experienced a partial loss of power. 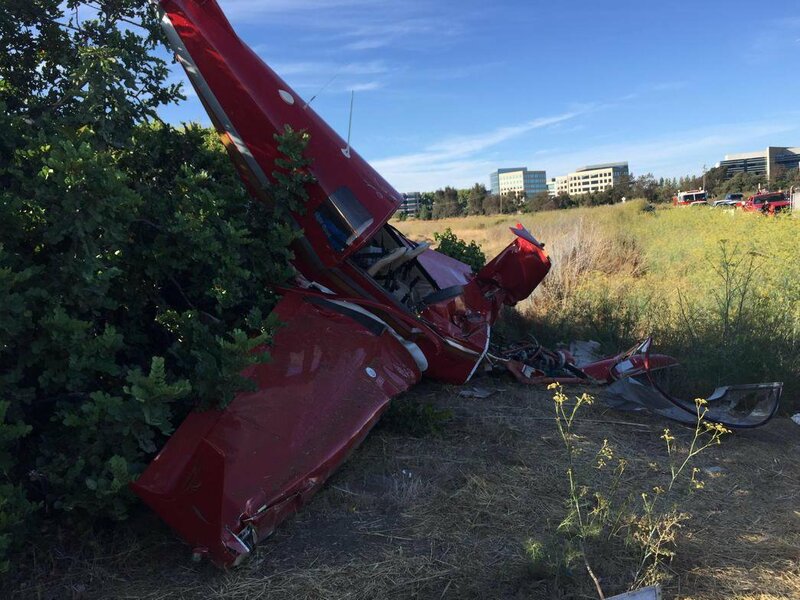 He pitched the airplane down into a nose-low configuration and after passing over a freeway (located at the end of the runway), he collided into a field. The Dova DV-1 Skylark was a single-engine special light-sport airplane, serial number 06-15, and manufactured in 2007. The airplane was equipped with the originally installed Rotax 912ULS engine. 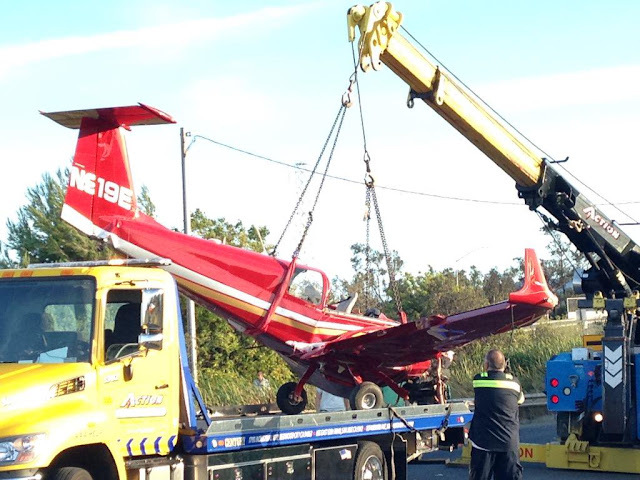 The pilot stated that the airframe and engine had accumulated a total time of 330 hours. The last annual inspection was reported as having been completed August 2014, equating to about 5 hours flight time prior to the accident. The airplane's fuel system was a gravity-fed design where fuel flowed from the metal tanks in the inboard section of each wing, through a selector valve. The selector had a right, left, and off position. The fuel line then continued through the firewall to a gascolator mounted at the bottom of the firewall. 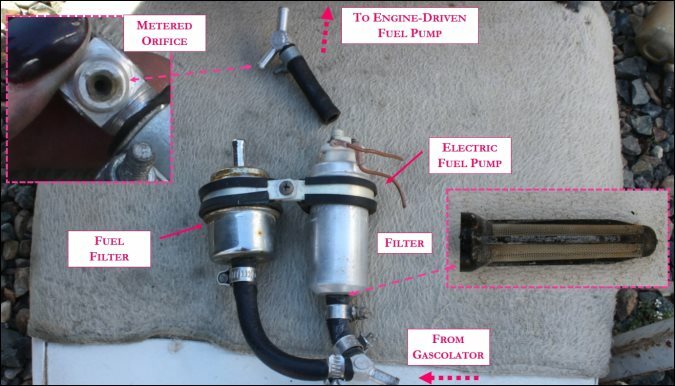 From the gascolator, the fuel line was routed to a y-fitting with one branch leading to a fuel filter and the other leading to an electric fuel pump. From the pump and filter, the lines were routed to another common y-fitting and adjoined. The fuel line was then routed to the engine-driven fuel pump and then to a transducer and continued to each of the Bing carburetors. There was no vent line or fuel return system. (reference picture 1 and 2). Examination of the airplane's fuel system revealed that the airplane did not have a mandatory fuel return line installed as per the Rotax 912ULS installation instructions. The fuel return line was made mandatory via an amendment to the Rotax Installation Manual (IM) on August 1, 2012. The manual stated on page 3, section 73-00-00, subsection 1.1) Description of system – Return Line, "NOTE: The return line prevents malfunctions caused by the formation of vapor lock." Additionally, page 6, Section 73-00-00, subsection 1.3 of the manual stated, "Requirements of the fuel system – Fuel return line, NOTICE: The installation of a fuel return line is mandatory," and that "the fuel pressure must be regulated by a restriction in the fuel return line, which ensures that the fuel pressure is under all operation condition within the operating limits specified by Rotax." The Rotax Installation Manual (IM) and the Illustrated Parts Catalog (IPC) for the 912 series engines both specified a fuel return line from the fuel manifold to the fuel tank(s). 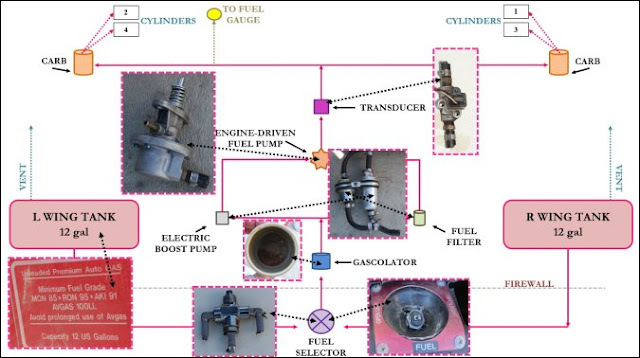 The Rotax Operator's Manual stated that "the fuel return line serves to avoid formation of vapour lock." The Rotax IM defined a "caution" as "an instruction which, if not followed, may severely damage the engine or other component." The Rotax IM contained the following caution: "For prevention of vapour locks, all the fuel lines on the suction side of the fuel pump have to be insulated against heat and fire in the engine compartment and routed at distance from hot engine components." A post accident examination revealed that there was no visible external damage of the engine and accompanying accessories. The complete examination notes with accompanying pictures are contained within the public docket for this accident. The Pierburg electric fuel pump could not be tested because the inside was severely corroded and seized. It could not be determined if this occurred before or after the accident. Removal and disassembly of the carburetors revealed light pitting in the plastic floats. The left carburetor had debris in the fuel inlet fitting. The cylinders showed no evidence of detonation. Disassembly of the engine revealed no evidence of mechanical malfunction or anomalies. The airplane was equipped with a Dynon Avionics Flight DEK-D180 combination electronic flight instrument system (EFIS) and engine monitoring system (EMS). The unit was installed on the left side of the instrument panel, directly in front of the pilot. The unit was capable of storing over 180 engine and flight parameters in non-volatile memory. Parameters included GPS location, engine oil pressure, and alert status. Data from the unit was downloaded from the unit following the examination. According to Dynon the data was corrupt and did not record the accident flight. The latitude and longitude information was not near the accident site. The last recorded Hobbs time was 335.5 hours as opposed to the mechanical readout on the airplane gauge of 333.73, which in combination of the other takeoff data (multiple attempts to depart and departing on the runway heading) indicated that although the latitude and longitude data does not show the accident location, the other recorded data may be from the accident flight. The recorded information is contained in the public docket for this accident. The time stamps between recorded hit occurred every 10 seconds and the data contained over 12,600 recorded points. The data indicated that the last start (when unit was power on) was at 1656:37 and ended at 1706:54. The entirety of the data indicated that there were two different fuel tanks, presumably the left and right tank. The most fuel quantity available read in Fuel Level 1 was 8 gallons and in Fuel Level 2 was 10.4 gallons. At 1508:08 the unit was started and the fuel level from the prior reading had shifted from 6.3 to 0 in Fuel Level 1 and from 4.8 to 10.4 in Fuel Level 2. From that recording, the airspeed did not increase over 40 kts until 3 presumed attempted takeoffs at 1517:38, 1522:48 1537:57, which appeared to be aborted from the reduction of rpm and airspeed. The presumed accident takeoff occurred at 1705:37 showing the RPM increase to 3,258 and the airspeed increase above 20 kts while aligning with the runway heading 300. The presumed impact was at 1706:24 when the pitch and roll rates were in excess of normal parameters. The 6 recorded hits during this presumed accident flight showed a fuel level in one tank between 0 -.05 gallons and the other at 10.4 gallons and decreasing. During this time the fuel flow went from 1 psi peaking at 7.1 and was fluctuating between which was consistent with the system containing air bubbles. 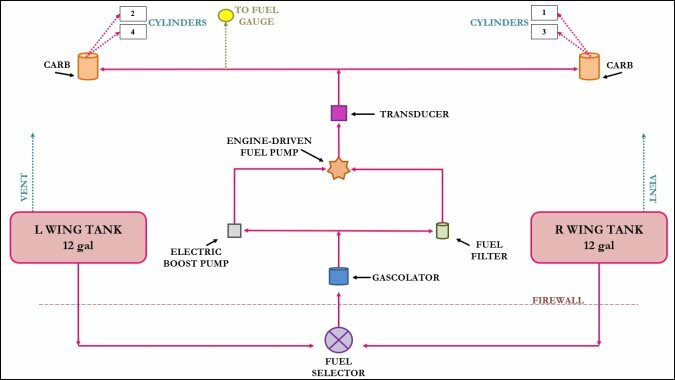 The cylinder head temperatures (CHT) and exhaust gas temperatures (EGT) were erroneous.